Thank you for your interest in Music In The Park 2019. You can inquire with questions, directions etc via Facebook messaging or on the contact form to the right. If you are a business and would like to become a Sponsor of Music In The Park, please complete the contact form to the right as well. We will gladly be in contact with you to see how and where you would like to participate. Again, we welcome one and all to Music In The Park 2019. It will be our treat to see you there and to share the day with you. 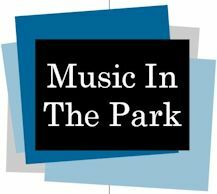 Music In The Park is held in Westminster, Ohio at the Westminster Park and that address is: 6825 Faulkner Road, Harrod, Ohio 45850. The Westminster Rural Fire Department is a clue that you are in the right place. From the East side of Lima, Ohio, take State Route 117 East out of town 6 miles to Westminster, Ohio. Turn left on Faulkner Road and 2 blocks on your left will be the Westminster Park. Please complete the following as thoroughly as possible so your inquiry can be routed to the correct contact. Thank you again for your interest in Music In The Park 2018.